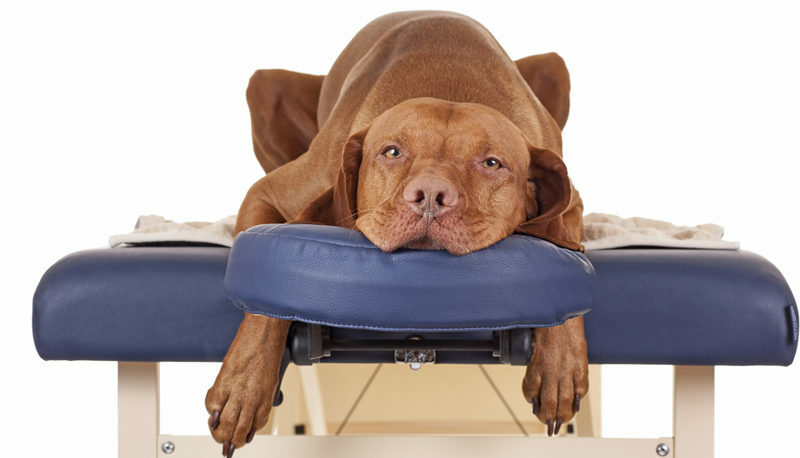 Is Acupuncture Safe For Your Animals? My Cocker Spaniel Bella is 11 years old and starting to get a little stiff in the back and legs. We have had the vet check her over, and they feel she is starting to develop arthritis in her hips & legs. Our vet recommended acupuncture to maintain her health. Does it actually work? 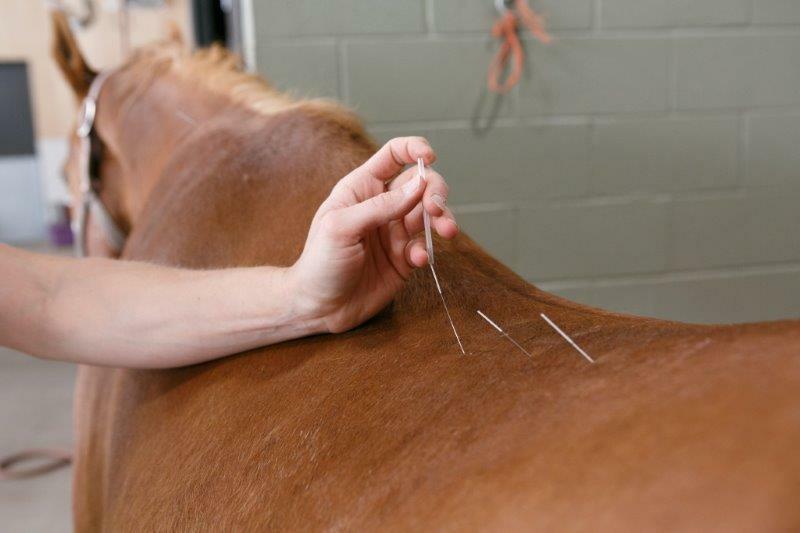 Acupuncture has many wonderful benefits for animals. Veterinarians once considered it a ‘bogus’ therapy. However there are now many research studies proving that acupuncture does work and particularly well on animals. It can ease pain and discomfort, improve mobility in joints, improve neurological conditions and even relieve allergic conditions. It has proven to be highly effective with dogs, cats and even horses too. Due to popular demand, many vets have now been trained and qualified in animal acupuncture, so it easier to find someone in your area. As an alternative to conventional and drug therapies, acupuncture is safe, and a gradual improvement therapy. You will see some changes in the first session, however the great improvements come over time and across a few sessions. Acupuncture is the traditional Chinese practice of inserting tiny needles into pressure points on the skin. Specific points are chosen that sit on the channels of energy called meridians. Meridians are like highways that carry energy (Qi) around the physical body. By using acupuncture, you can activate energy into a pressure point that will carry the energy through the meridian to the specific ailment in the physical body. This can reduce inflammation, increase circulation and activate the nerve receptors to awaken muscles. Not surprisingly, animals respond to this form of therapy very well. Some practitioners may also use electro acupuncture, which involves attaching electrodes to the needles and sending mild electrical pulses to the meridian points. I have seen this work well with chronic conditions to help give the animal relief and time for the medications to work. I have used acupuncture on my animals for many years. My own dog Akeira had a spinal condition where her nerve receptors were not sending messages to her brain to move her back feet. She would often tell me she couldn’t feel when her back feet were giving way. After a few electro acupuncture sessions with Rowena, our rehabilitation vet, we started to see Akeira’s back feet responding to the treatment, and she started picking up her feet more often and walking more fluidly. Combined with at home exercises and a few tricks to improve her rehabilitation, Akeira is now a lot stronger and happier. It is also wonderful to know that you too can play an active part in your animal’s wellness. Akeira can now run and walk more easily and without discomfort. I have many clients that use acupuncture to aid in arthritis, rehabilitation from surgery, and to improve overall health for their animals. It works as a great maintenance tool for animals to stay fit, healthy and happy. Christen and her staffy Lola had come to me to find out why Lola was constantly chewing at her rump. She had tried all sorts of things to help her – flea treatments, shampoos, cortisol and even oatmeal to calm her skin down. It got to the stage where Lola had a bare patch on her lower back and Christen was at a loss on what to try next. She had been to the vets several times and they had suggested it could be allergies. When I connected with Lola, she showed me the sensation of ants crawling all over her back and they would not disappear no matter how much she tried to bite them off. I explained to Christen what Lola was feeling and suggested she see a vet who was qualified to perform acupuncture on animals. She contacted me a few months later to tell me after a few sessions Lola had stopped biting herself! She also noticed she was less anxious and she would always fall asleep during the acupuncture sessions. Needless to say, clearing the blockages between the brain and her nervous system resolved Lola’s issues. As you can see, it is not a quick fix solution, but a gradual improvement over time. 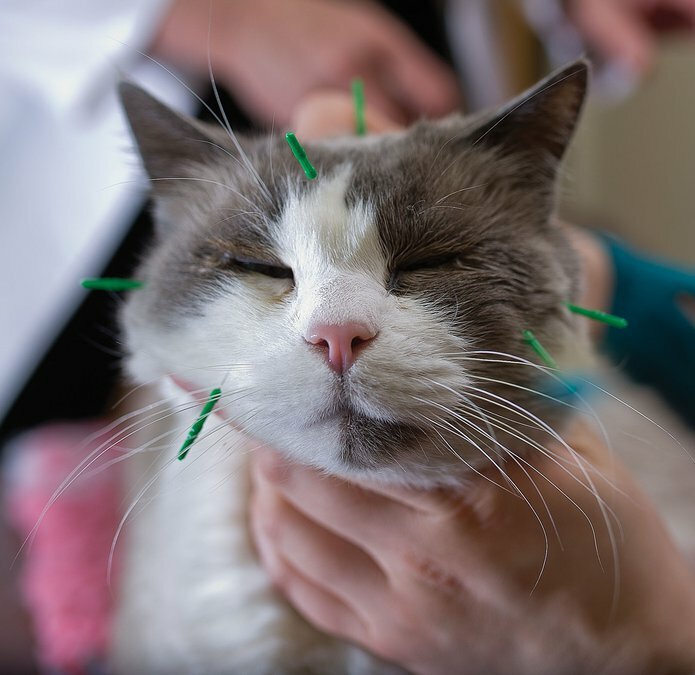 If your dog or cat has not had acupuncture before, your practitioner will make sure to start gradually, only using a few needles in a short time frame. You can build this up as your pet becomes accustomed to the treatment. If your animals are nervous at the vet, you can request a practitioner to come to the house instead and conduct the session in the comfort of your dog’s home. Ultimately, we can combine conventional and natural therapies to give our animals the best for their health and happiness. They give us so much unconditional love and support and so it is our responsibility to ensure they live a happy and comfortable life. Previous Post Which Insects Are Safe For Your Cat? Next Post How Do You Choose An Animal Communicator?